Recently I explained the basics of regression to the mean and why I’m going to apply it to football. I want to briefly expand on it by explaining how it’s size is determined for a particular parameter. 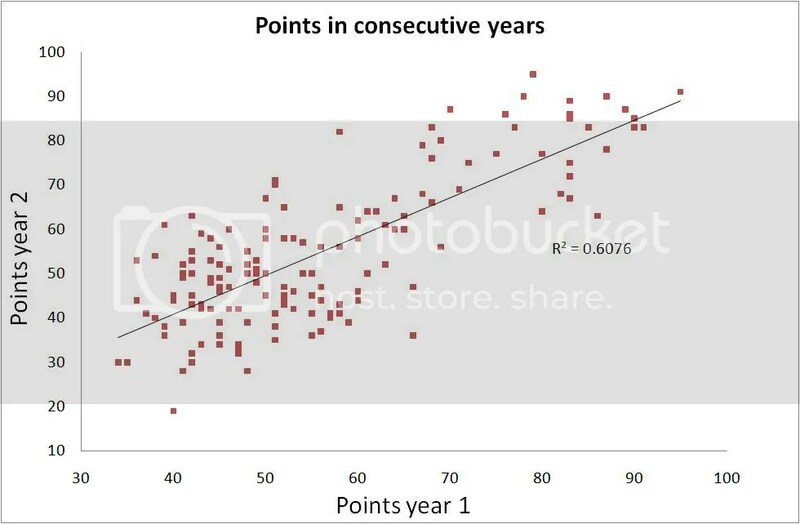 Essentially this means that the number of points a team scores above or below the mean (of 52.1) is ~80% skill and ~20% luck.